In today's fast paced world, there's not one soul left who doesn't own a Mobile Device. For people living in the stone ages, a Mobile Device plays the same part as two cups being attached to one another via a string! There's a vast variety of mobile devices. Some of the popular choices include Cell phones and Tablets. 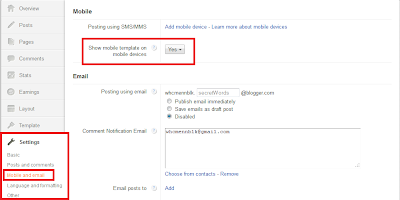 If you are reading this blog, chances are that you are using one too. Therefore, it is important for bloggers to optimize their websites to be viewed on mobile devices. Doing this would have three, very substantial advantages on your part. 3. The interface is perfect for newbies. 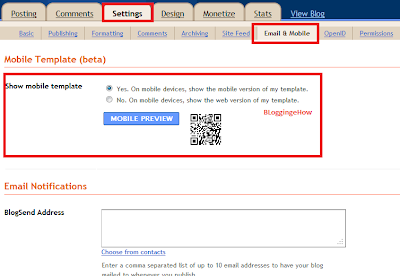 You can choose to customize your Blogger site to appear more user-friendly to those of your followers who are always on the move. It will enhance your sites rank and get you into the good graces of Google (wink wink)! 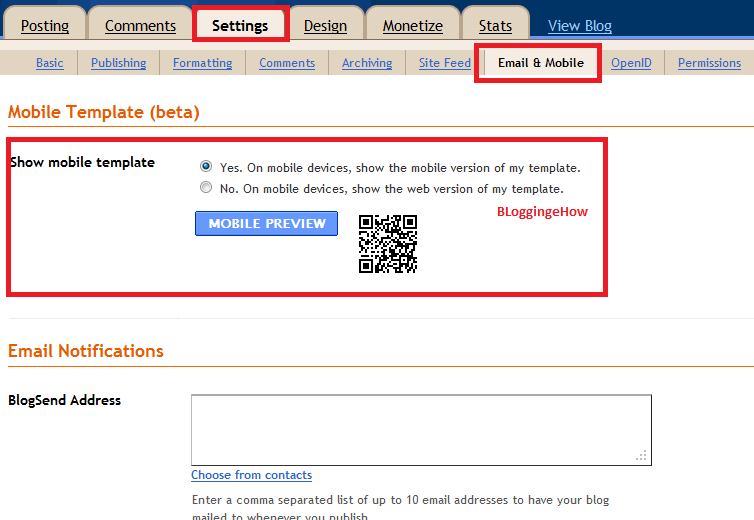 To do the above, Blogger has come up with an option that would allow you to have a mobile site interface of your blog. Its hassle-free and easy-to-use. Your domain would remain the same (compared to the annoying addition of 'm' in the starting of your URL) and at the same time, the user is going to have the option of switching to the desktop version if he so wishes. 4. 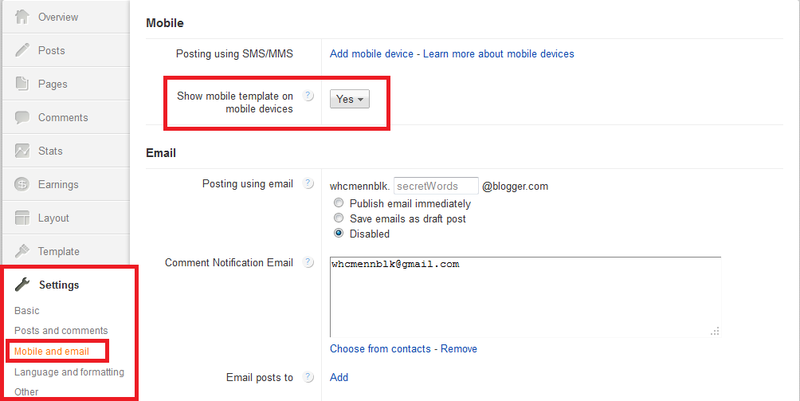 You will find the option Turn on the mobile Template on Mobile Devices, please click Yes for it. That's it! 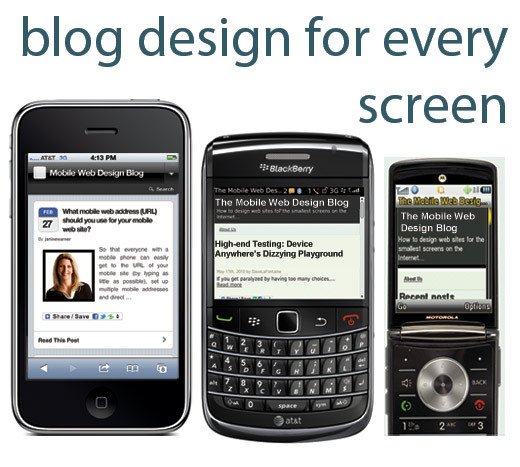 Visit your Blogger site on a Mobile Device and checkout the magic that you just created! We will advice you to switch the pages widget on on your desktop version too in order for the page bar to appear in the mobile device. Try it out and let us know if it worked for you.